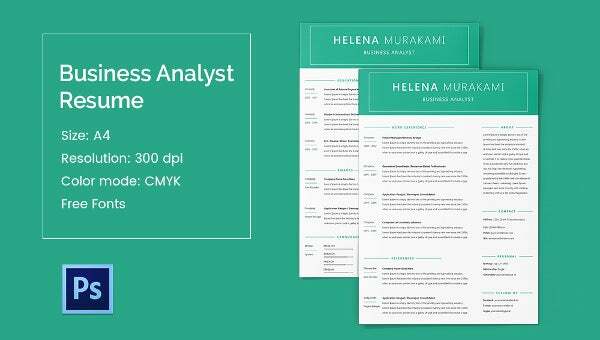 This is the kind of resume that is used by the one aspiring to be business analysts. This is a very high quality of Resume sample which is of A4 size and has a resolution of 300dpi. It also has a colour mode of CMYK and that is the reason why you should be going for these resume samples. Here you can also get a lot of free fonts. You can get a sample resume as well as a cover letter so that the look can be utterly professional in manner. Once you make use of it, you can have professional outlook in your resume.